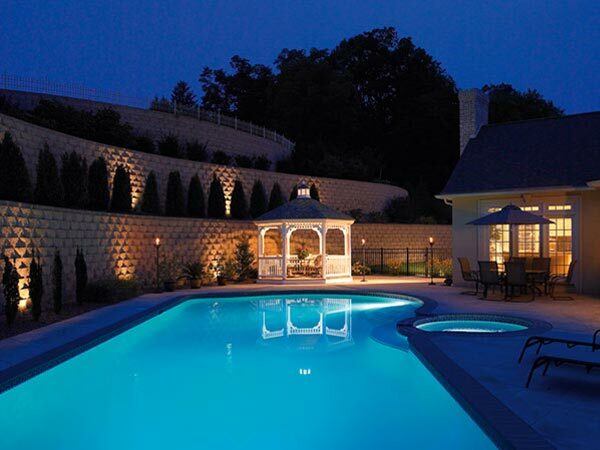 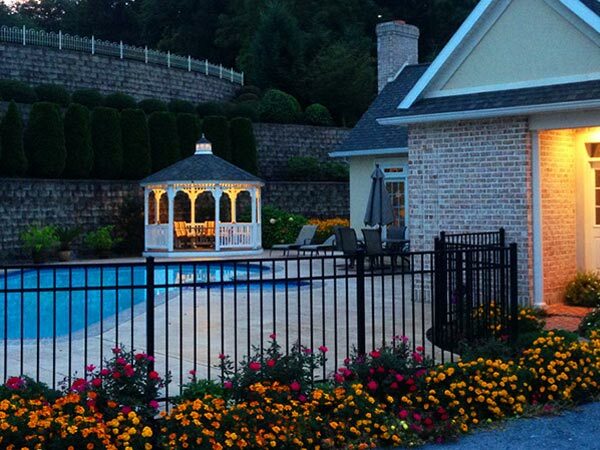 Greenview Designs Landscaping can design the perfect custom outdoor living space to fit your dreams. 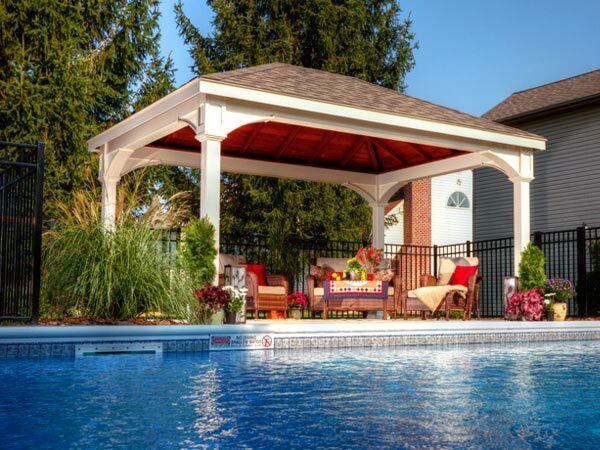 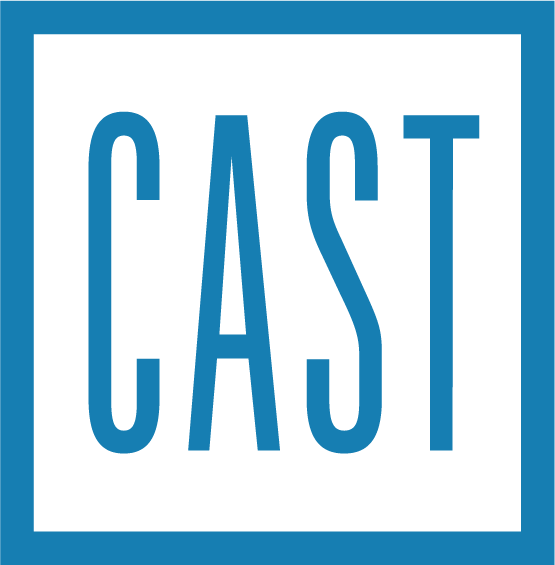 The best benefit of a gazebo is that it gets you “out there” – in the outdoors – on your own property. 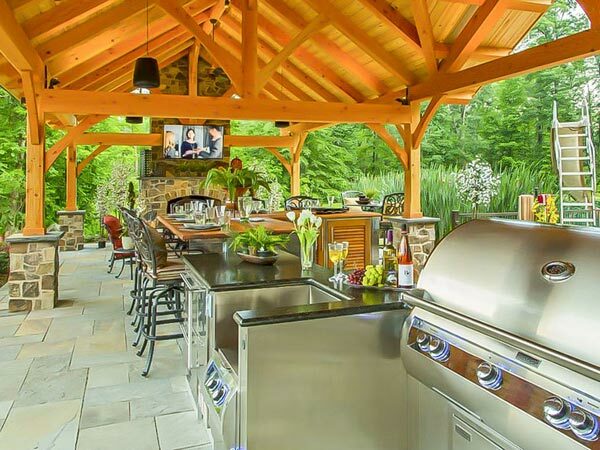 If you have a beautiful landscape in your backyard, you probably look at it from inside, but rarely go out and enjoy it. 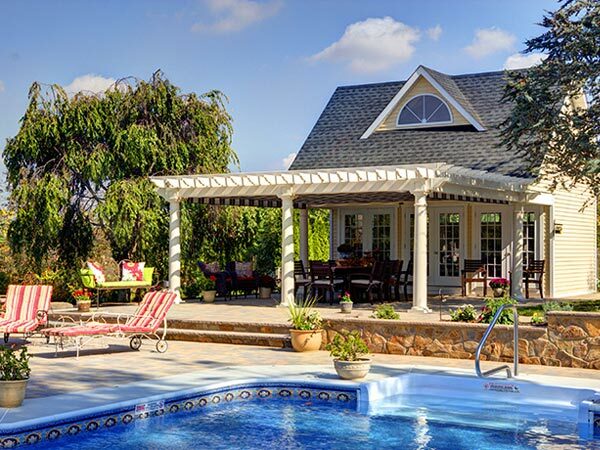 It’s likely because there’s nothing that draws you – no comfortable place to enjoy the beautiful scenery all around you. 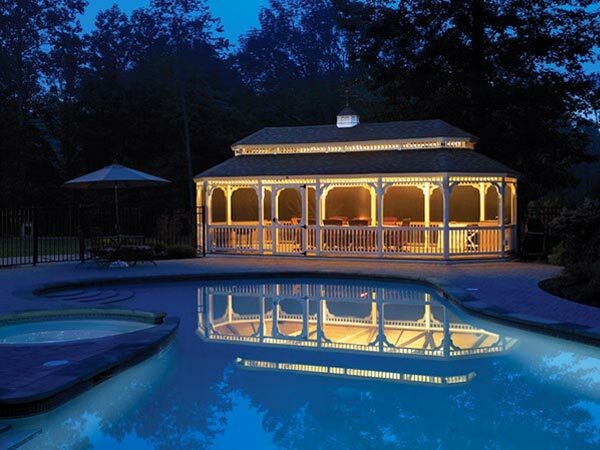 There’s something about a gazebo that is cozy and inviting. 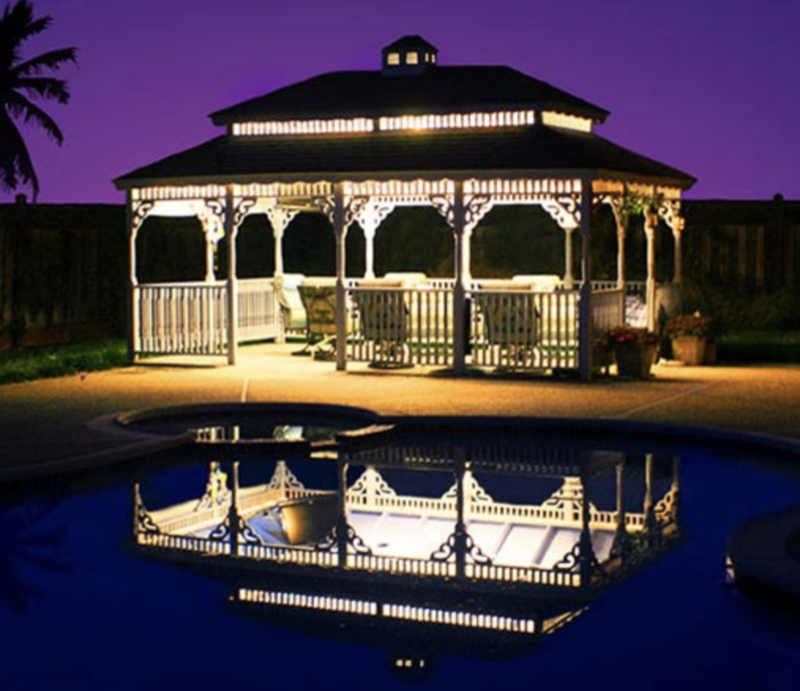 It may be the shade of the gazebo’s roof, the comfortable benches, or the architectural beauty of the design. 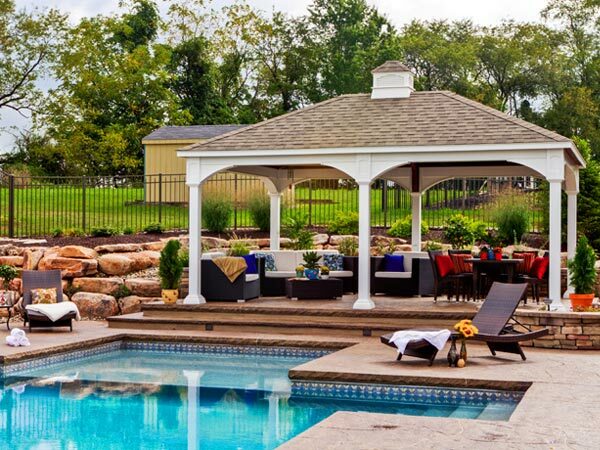 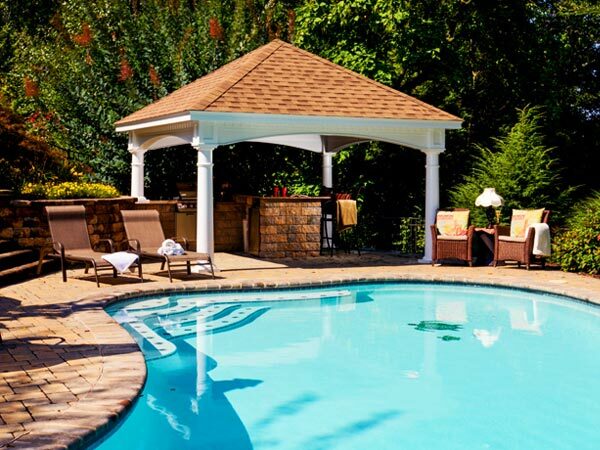 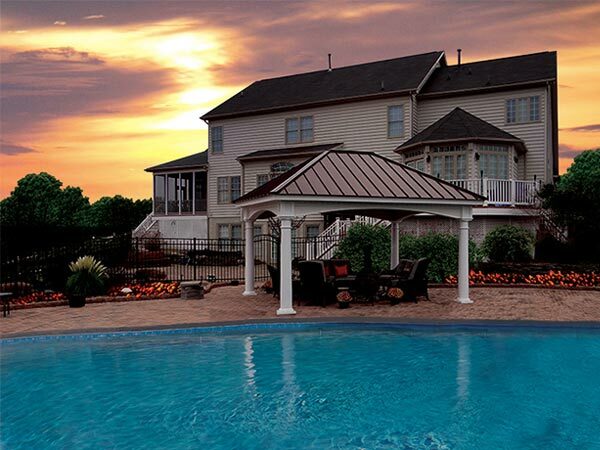 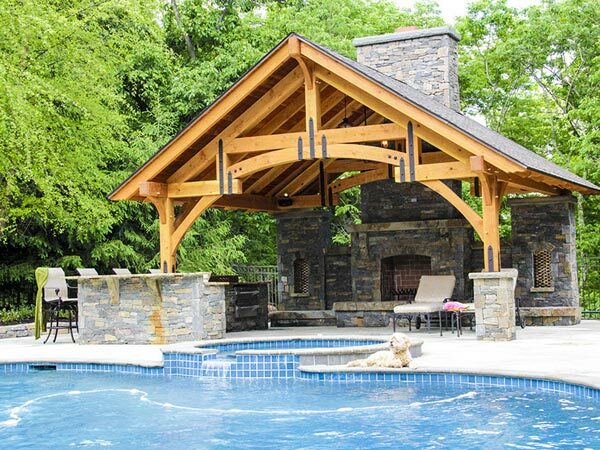 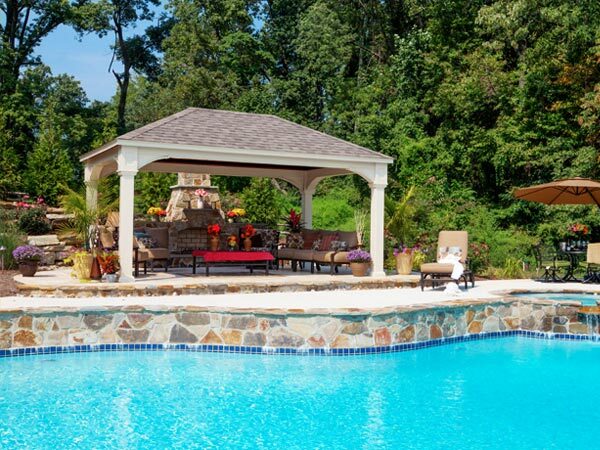 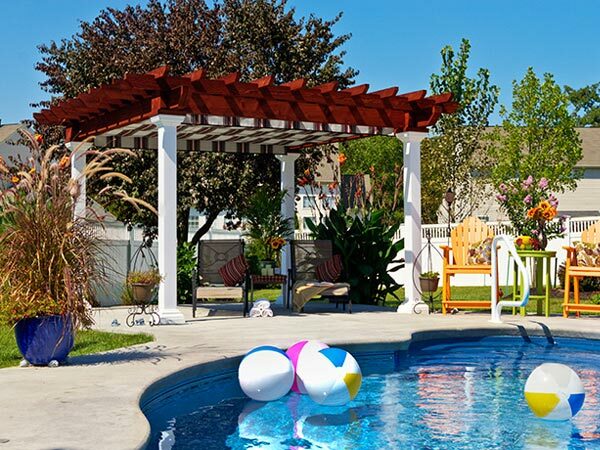 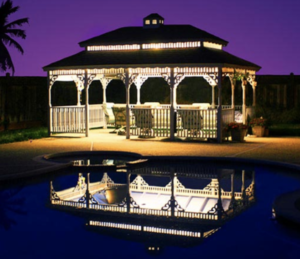 Whatever the reason, there are many benefits of having a gazebo on your property. 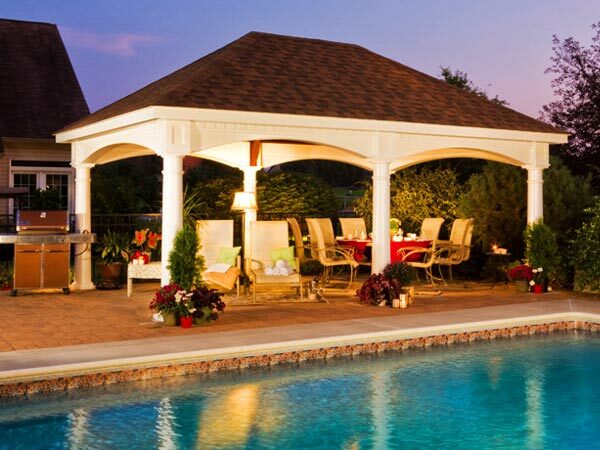 Gazebos offer unparalleled design flexibility. 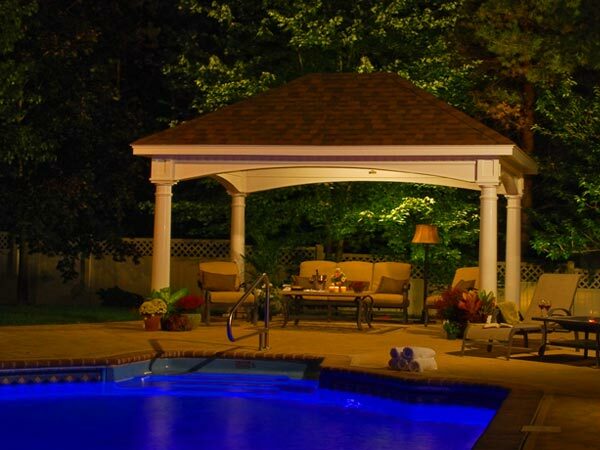 You can put your gazebo in a hidden spot that’s private and cozy or in a location convenient to your house. 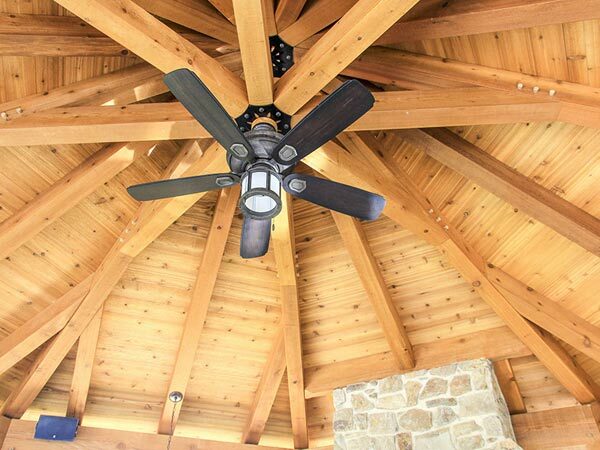 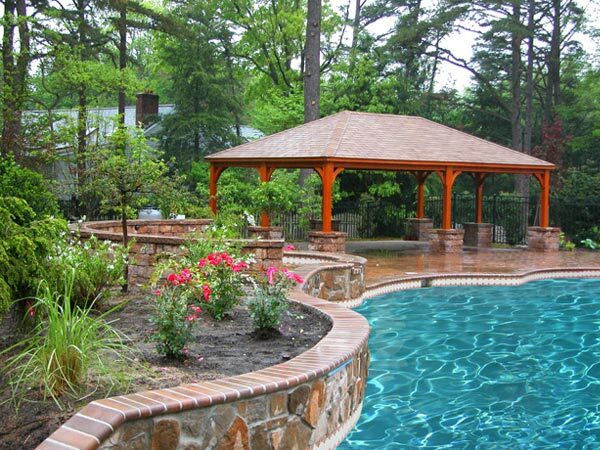 The roof can completely protect you from sun and rain, or it can provide an open-air environment with partial shade. 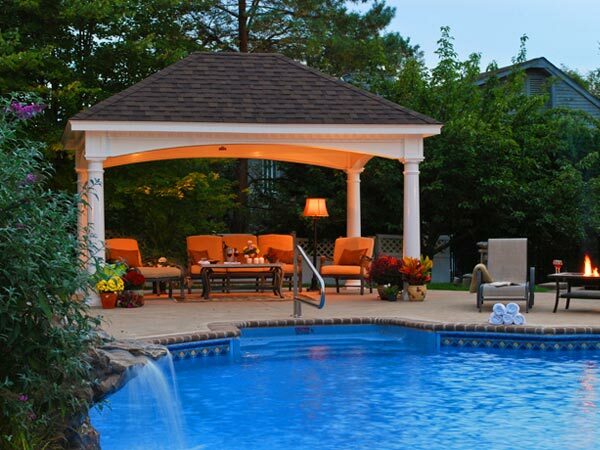 Your gazebo can have no walls or low walls that come up to three or four feet. 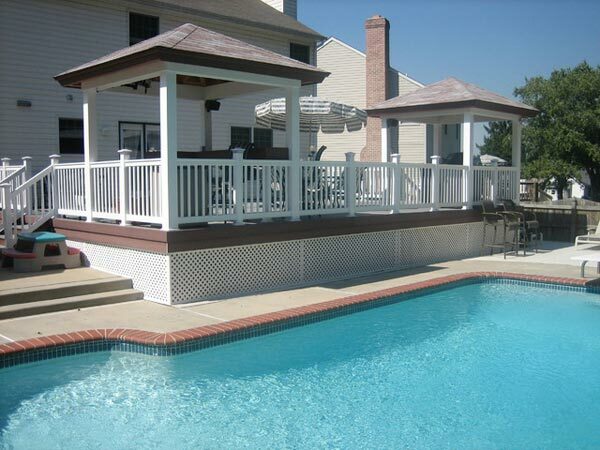 You can also have screened walls that let in all the sights, sounds and outdoor breezes but keep out mosquitoes. 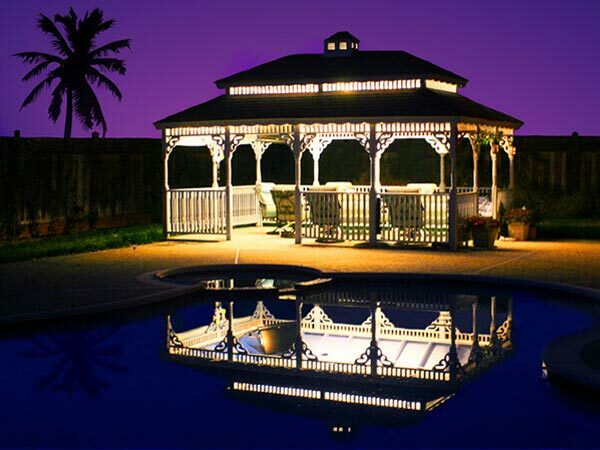 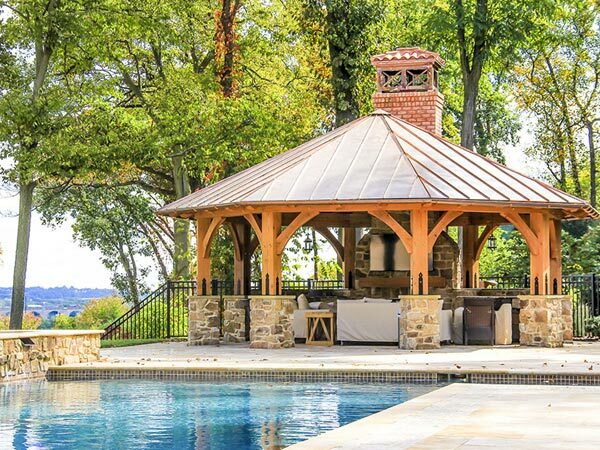 A gazebo’s shape can be octagon, square, round, or even oval. 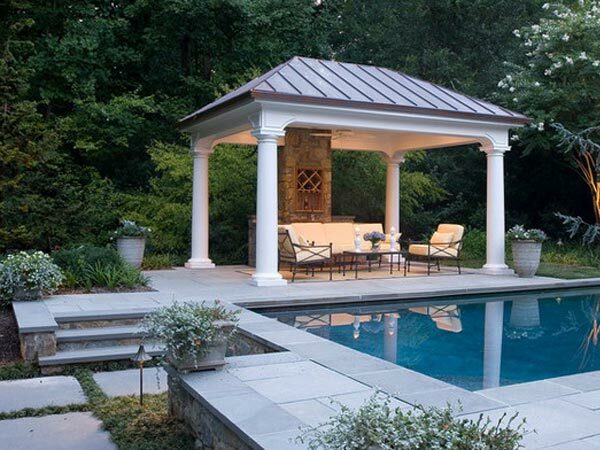 An intimate space for quiet conversations. 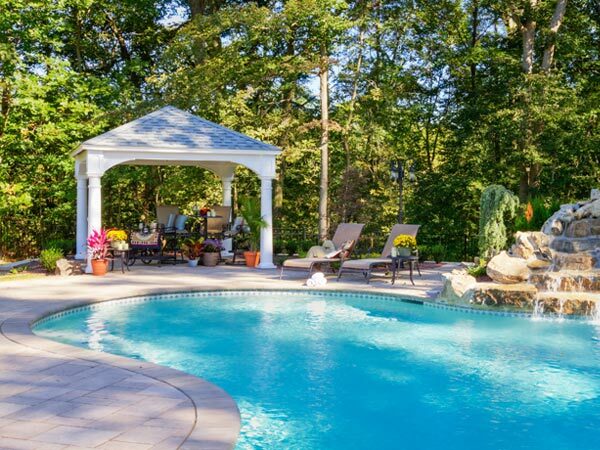 A peaceful place to do yoga, weight training, or an exercise video. 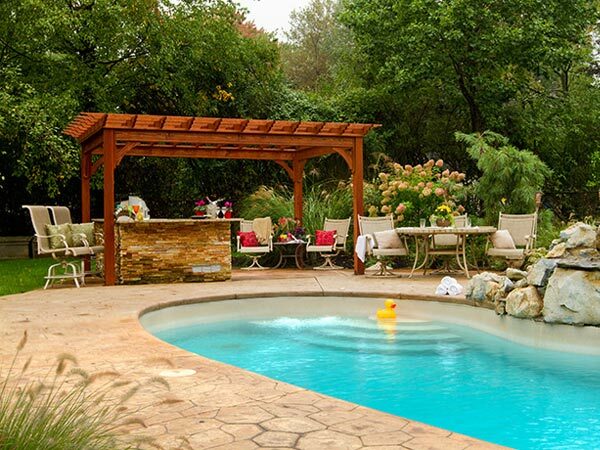 A protected space for a fire pit.